Know Israel’s Enemy In Gaza: What Is Hamas? – I Am Not Ashamed Of The Gospel Of Christ! Home › Anti-semitisim › Know Israel’s Enemy In Gaza: What Is Hamas? Know Israel’s Enemy In Gaza: What Is Hamas? Its time to know the truth. All Palestinans do not want war. So who is fueling the hatred and war? Media is trying to turn Hamas into a peaceful protesting group. They are far from that. Its been proven that they hide weapons in schools and use civilians as shields. They pay for people to violently storm the borders with Israel peppered with their fighters and terrorists. Hamas is an acronym meaning “Islamic Resistance Movement”. It is regarded, either in whole or in part, as a terrorist organization by many countries most notably by Israel, the US and the EU. The Hamas Charter affirmed in 1988, that Hamas was founded to liberate Palestine, including modern-day Israel, from Israeli occupation and to establish an Islamic state in the area that is now Israel, the West Bank and the Gaza Strip. Hamas took control of Gaza, in the 2007 “battle of Gaza” while its officials were ousted from government positions in the West Bank. Attempts to form a unity government with Fatah have failed. It declares all of Palestine waqf property endowed by God to Muslims, with religious coexistence under Islam’s wing. A holy war waged on behalf of Islam as a religious duty. the holy place where God Most High lives. 5 God is in that city, and so it will not be shaken. 6 Nations tremble and kingdoms shake. God shouts and the earth crumbles. 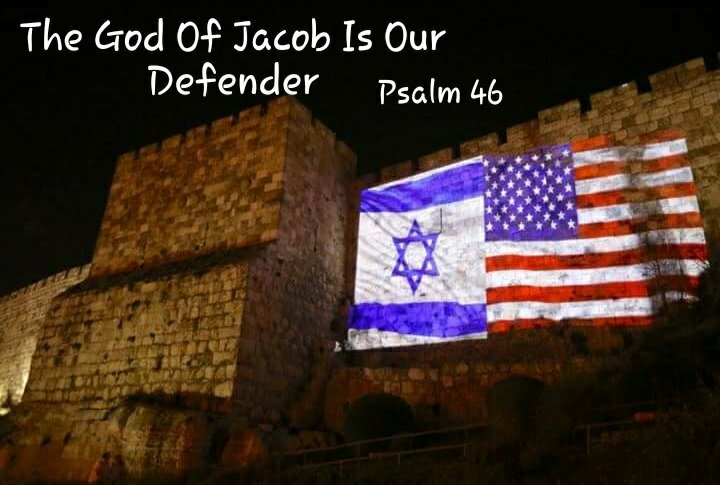 7 The Lord All-Powerful is with us; the God of Jacob is our defender. ‹ JESUS CHRIST KEEPER OF THE HEART!